Diego Costa struck twice as Chelsea preserved their unbeaten Premier League record in a 2-2 draw at Swansea. Costa fired Chelsea into an 18th-minute lead during a first half the visitors controlled from start to finish, only for Swansea to turn the game on its head by Gylfi Sigurddson and Leroy Fer scoring within three second-half minutes. Chelsea surged forward in search of an equaliser and were rewarded when Costa claimed his fourth goal of the season with an acrobatic scissors kick nine minutes from time. What had been a slow-burner of a game exploded into life when Thibaut Courtois raced rashly from his goal after 59 minutes to fell Sigurdsson. Sigurdsson levelled from the spot and three minutes later Fer's foul on Gary Cahill went unpunished for the Dutch midfielder to put Swansea ahead. It was another uncomfortable moment for referee Andre Marriner, who was in charge for the first time since his failure to send off Sergio Aguero for elbowing West Ham's Winston Reid and the Manchester City striker's subsequent three-match ban imposed by the Football Association. Swansea boss Francesco Guidolin, who said he lost out to Antonio Conte for the Italy job in 2014, was seeking to improve on a dismal record against his Chelsea counterpart. Guildolin had only win from their nine meetings in Italian football and he set up his Swansea side to contain with three central defenders and speedsters Modou Barrow and Jefferson Montero occupying the bench. Montero's absence would have been a pleasing sight for Chelsea right-back Branislav Ivanovic who was tormented by the Ecuadorian flier at Stamford Bridge last season. Instead, Ivanovic was allowed to roam free down the right with Swansea's attacking threat almost nil in a first half which Chelsea dominated. Willian's fierce drive forced a fifth-minute save from Lukasz Fabianski and it was a matter of when, not if, Chelsea would open the scoring as Swansea struggled to get to grips with their new system. Ivanovic headed over Willian's free-kick and Fabianski showed bravery to fall at the feet of Costa, but the breakthrough eventually came after some scruffy Swansea defending. Federico Fernandez's poor header was grasped upon by Oscar, who set up Costa to score his sixth goal in four games against Swansea with a confident sidefoot finish. It almost got worse for Swansea within two minutes as Eden Hazard surged through before being denied by the legs of Fabianski, and the goalkeeper was again needed to stop Cesar Azpilicueta threading a shot past him at the near post. 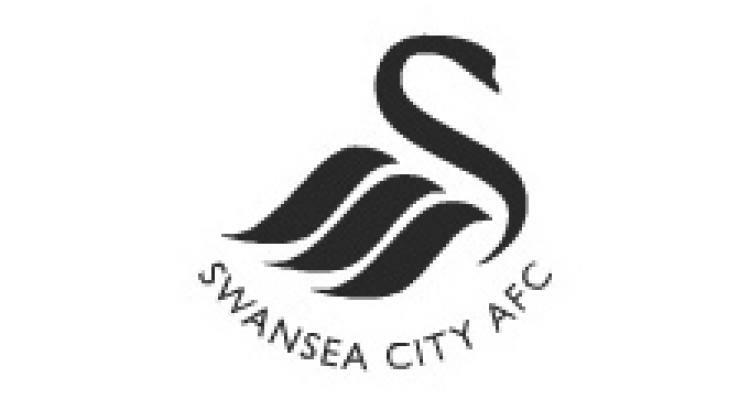 Swansea did not threaten until Sigurdsson went close from 20 yards five minutes before the break. But Guidolin had seen enough by then and introduced Barrow with a change of formation designed to give them more attacking intent. Yet Chelsea immediately spurned a glorious chance to double their lead when Costa skewed wide with the goal at his mercy after Willian's corner had been allowed to run through to him unchallenged. Conte was becoming exasperated by Chelsea's failure to convert from promising positions and Swansea made them pay. First, Sigurddson levelled from the spot after Courtois' rush of blood - becoming Swansea's top Premier League scorer in the process with 26 goals. And then Fer profited from Marriner's mistake and squeezing the ball past Courtois and over the line. Chelsea captain John Terry led the protests against the goal and Costa, having been booked in the first half, was perhaps fortunate to stay on the pitch after appearing to dive to win a penalty. Oscar headed over from point-blank range as Chelsea pushed forward, but they salvaged a point when Ivanovic's shot ballooned into the air off Jordi Amat and Costa struck in sensational style.